Get lease tenure information for every property, calculate the payment received or pending and maintain profits. Economy is recovering at a steady pace. Property market is in a much better position than it was. Investors have become more confident and are looking to invest a good chunk of their money in property. It’s imperative for real estate companies to have real time insight in their data and take informed decisions to sustain this growth. 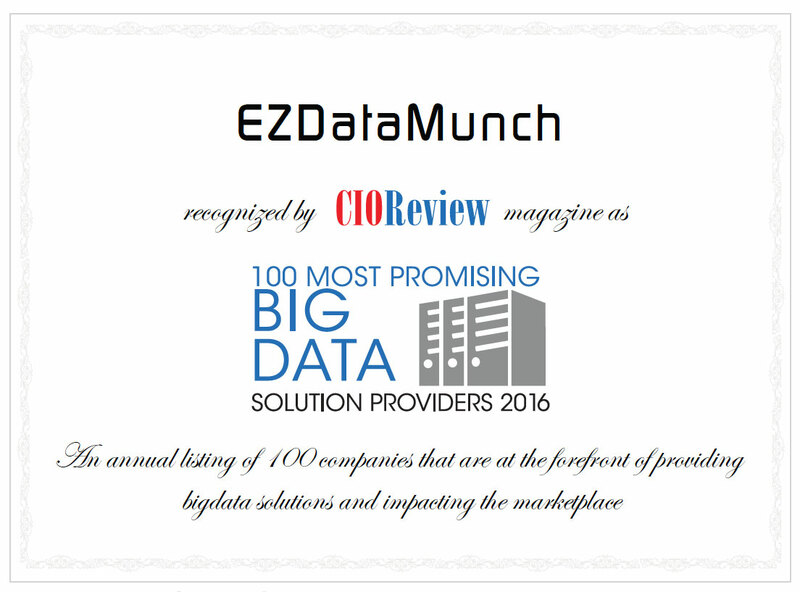 Gone are the days of sifting through excel sheets to analyze and report data. To stay ahead of the competition and to improve profits, companies need to adapt to advanced business intelligence solution. Managers can leverage key data from property management and finance systems and tenant and lease information. Reduce time to aggregate and prepare rent rolls and occupancy data. Check financial performance of properties to reduce risk from unforeseen issues. Delve in the granular cost detail and enhance bottom line. View details of all the tenants. Details can be drilled down as per property. Get complete lease details. Details such as lease status (third party, active, sold, signed, expired) can be viewed. Also, drill down as per building. Check invoice details like paid or pending. Report can be drilled down as per invoice number, check number, invoice date, due date and payment date. 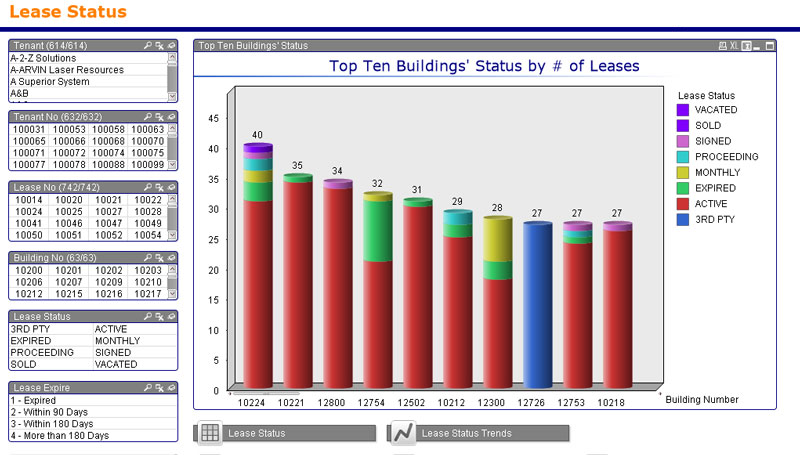 Delve deeper in lease details per building in this dashboard. Lease details such as property vacated, sold, signed, in process, per month, expired, active and 3rd party can be viewed. Shift between lease status and lease trends. Filter report by factors like tenant , tenant number, lease number, building number and more. 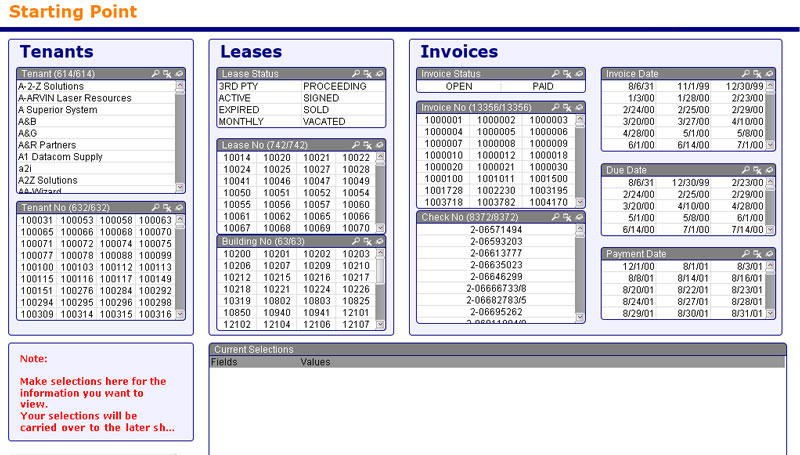 This dashboard gives detailed invoice information. 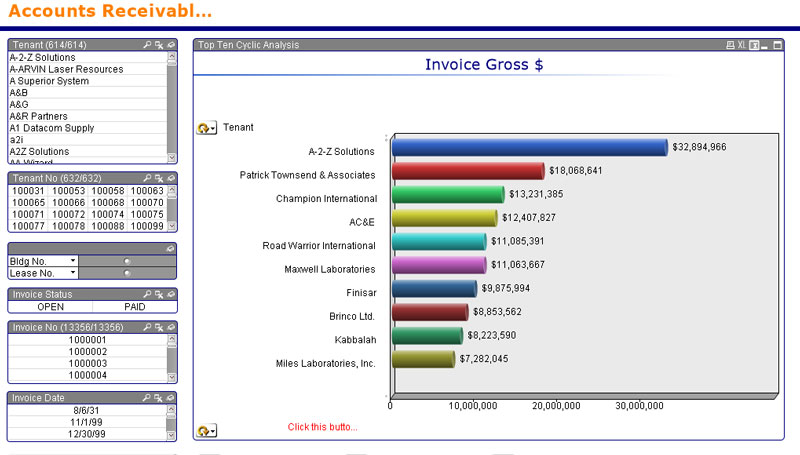 The graph represents consolidated view of invoice per tenant. Drill down as per tenant number, building number, lease number, invoice status, invoice number and more. 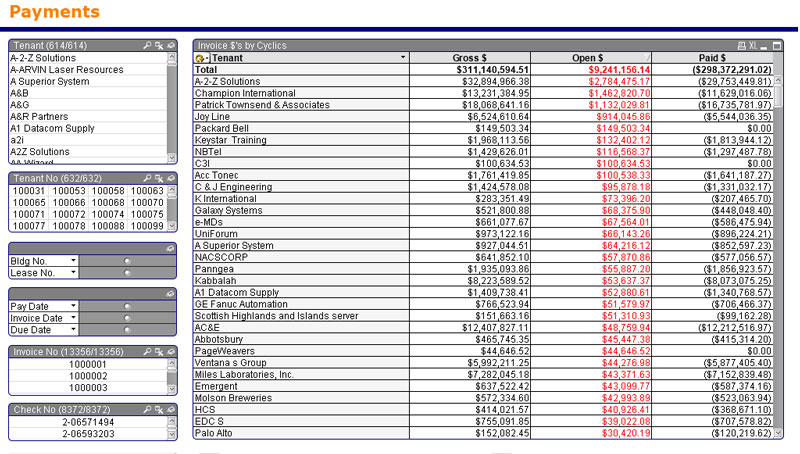 This dashboard gives a detailed list view of all the payments and invoices. List view consists of details such as tenant name, gross amount, paid amount and pending amount. Dashboard can be further customized as per tenant number, building number, lease number, pay date, invoice date, and more.